Why was making love taken away from yoga? We live in a culture based on body-mind separation. From early childhood we’re trained to abandon our inner world and experiences. The Body Mind Love Blog is a forum for personal experiences, methods, resources and discussions about the broken body-mind connection, how it came about, how it has developed, and how we can heal it and find the way back to our true human nature. Sign up for Body Mind Love’s newsletter and learn more about how we can heal the broken body-mind connection! Are you unconsciously your own worst enemy? Do you want to know more about the broken body-mind connection and how you can heal it? 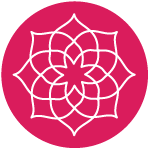 Sign up for my newsletter and get regular updates about Body Mind Love Yoga, gifts, free courses, step-by-step trainings, and new blog posts.